I’m sure you have noticed that I love dainty jewelry, especially rings and earrings. I’m not so much of a bracelets wearer, but I do love a ring party, an earring party (I have 5 piercings and would love to get another one! 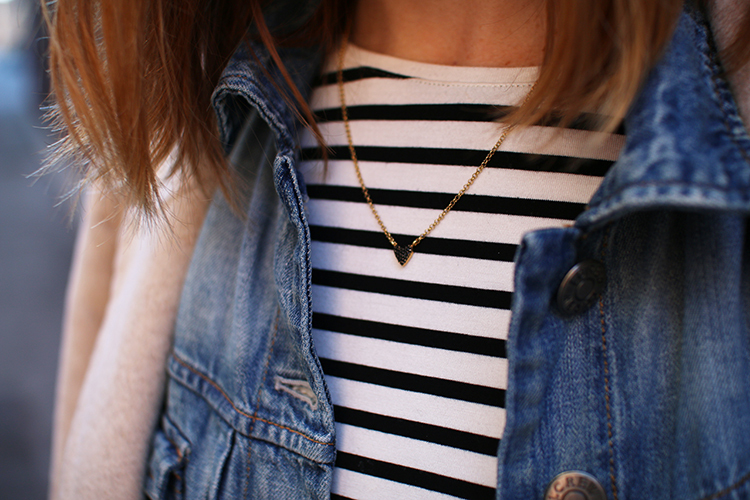 ), and some layered necklaces. I got these Mejuri pieces, (have you heard of them? They are somewhat new to me and love their collection!) a couple of weeks ago and I haven’t stop wearing them, especially the heart necklace. I like how the fact that it’s black adds a bit of an edge you know? I seriously haven’t taken it off, not for running, not for showering, it’s been glued to my neck ever since! Just follow the instructions on the Rafflecopter below, good luck everyone! * Giveaway Rules: Giveaway starts today and ends Tuesday April 6 at 12am Eastern Time. No purchase necessary, open Worldwide, prize consists of one piece of your choice (heart ring, heart necklace or sand dune rings) Winner will be chosen at random and contacted by e-mail within 24 hours.